£1m+ funding for work on the Wandle and other south London rivers! We’re delighted to announce that the Wandle Trust has secured more than £1 million in funding to continue our programme of vital river restoration work on the Wandle over the next 3 years. Following our recent fish and eel passage enhancements in Carshalton and Ravensbury Park, this funding will allow us to start delivering many more exciting improvements which local people have told us they’d like to see, in the course of our recent consultation to create a community-led Vision and Catchment Plan for the Wandle’s future. 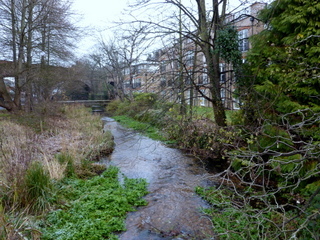 It will also allow us to widen the area where we’re working, including our sister chalkstream the Hogsmill and beyond – helping us to build on the last 5 years’ highly successful Living Wandle project, funded by Thames Water, which has already resulted in native trout starting to spawn again in the upper Wandle. The latest funding comes from Defra’s Catchment Restoration Fund, which has awarded £367,000 for fish passage and habitat improvements on the Wandle, and an additional £200,000 for work on the Hogsmill River. Further funding and support has been provided by the Environment Agency, and aims to help the upper river reach a good ecological state by 2015 in line with the requirements of the European Water Framework Directive. This funding is also provided to help the Trust spread our expertise in urban river improvements gained on the Wandle, to other rivers in south London where no such groups have been established and the rivers are more neglected as a result. In order to help us deliver this work, the Wandle Trust has recently appointed Toby Hull as our new Catchment Project Officer. As usual, we also hope to involve as many local volunteers as possible – for instance, helping us install gravel and woody habitat structures, planting newly-created river margins with native plants, and helping us to monitor the river for any pollution incidents. So keep an eye on this website, throughout 2013 and beyond, for opportunities to get involved on the Wandle and help us restore this wonderful urban chalkstream! This entry was posted in Uncategorized and tagged Spreading the Wandle Word, Wandle, Wandle Catchment Plan on December 13, 2012 by Theo.